The activities on the reserve are hugely varied, from Bush Clearing, Elephant Population Monitoring, to Controlled Land Burning. Your hands on involvement with conservation activities means things could get messy! Think tracksuit bottoms, old clothing and waterproofs. The ongoing sustainability projects often see volunteers painting classrooms and crèches, so a set of paint-friendly clothing is advised. Although evenings are usually spent round the fire or in the accommodation facilities, it’s wise to bring a torch! Whilst notepads and water bottles are essentials, bird-spotting guides are useful tools to have – whether to impress the rangers or to get a scope of potential bird life in the area. Stock up on home comforts – a shop visit usually happens every Friday during community outreach projects, but you’ll be in the middle of a beautiful game reserve the rest of the time! The weekends on the reserve are yours! The location of the reserve means there are so many wonderful opportunities at your doorstep to really make the most of your visit. 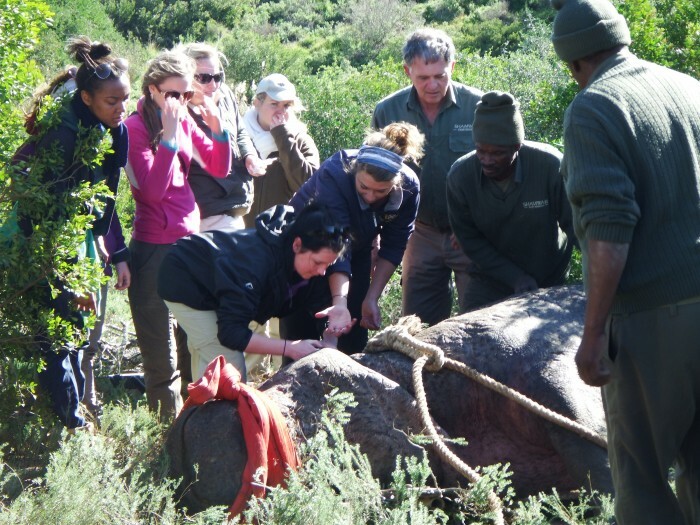 Operating on the neighbouring reserve Addo Elephant Park, Criss Cross Adventures offers Addo Safari tours, Quad Biking and River Safaris to name but a few of their wonderful activities. Other popular activities have included trips to Bloukran’s Bridge Bungee, the world’s highest commercial bungee jump, Shark Diving, Sandboarding, trips to the historical Grahamstown, and Fishing tours at Addo. Groups of volunteers often want to attend the same activities, so it’s not essential that you have something planned before your trip. Talk to volunteers about their ideas for weekends, get a plan in motion and arrange taxi shares with the admin team! The rangers have a miraculous, encyclopedic knowledge of the ecosystem. Ask them questions about the animals you see, the reasons for performing a particular conservational activity, how the reserve operates, future directions for conservation etc. They are some of the most informed people on these matters, and are always happy to have interested volunteers! More of our participants are writing blogs documenting their activities on the project. This is a great way to consolidate and remember the things you got up to on your trip! If you do decide to write a blog, it works well for conservation! What better way to bring in new volunteers than to have a volunteer’s insight into the project. Get creative, a blog doesn’t have to be a synopsis or any particular length! No amount of photos is too many to remember your trip. You’ll see some wonderful wildlife and make some great memories so take as many photos as you can! A good camera is advised, even better if it has video settings. We’re always looking for volunteers to show us their best wildlife photos, and hold frequent, themed competitions for budding wildlife photographers on our Facebook page. In the winter months the South African climate tends to play tricks on travellers. Whilst it may look warm and sunny in photographs, it can get very cold and windy sitting on the back of a land cruiser in mornings and evenings. Fleeces and a warm coat are highly recommended. The beauty of the project is the dynamic nature of the activities you’ll get up to. As we say, wildlife has no agenda. Volunteer involvement with ongoing projects and sporadic Veterinary assistance can see participants involved in a huge range of activities. This is something that previous volunteers have always found interesting about the reserve, so throw yourself into each activity with an open mind. Developing a dialogue between reserves and the global community is crucial for conservation. You as volunteers are the best sources of photos, videos, blog posts, opinion pieces – share your experiences with the world! We’re always keen to hear your expectations and preparations for the trip, as well as seeing your photo and video content for the generation of awareness on social media. Spread the word about your experiences and the exciting opportunities for sustainability related projects! The conservation community can grow hugely by word of mouth, and raising awareness with friends and family can help the community to achieve its goals in wildlife preservation. South Africa boasts some of the most wonderful scenery and culture in the world. Volunteers often integrate their projects with trips down the Garden Route, adventures in Storms River and stays in Port Elizabeth to name but a few wonderful opportunities. Everything you need to know about Gap Africa Projects! 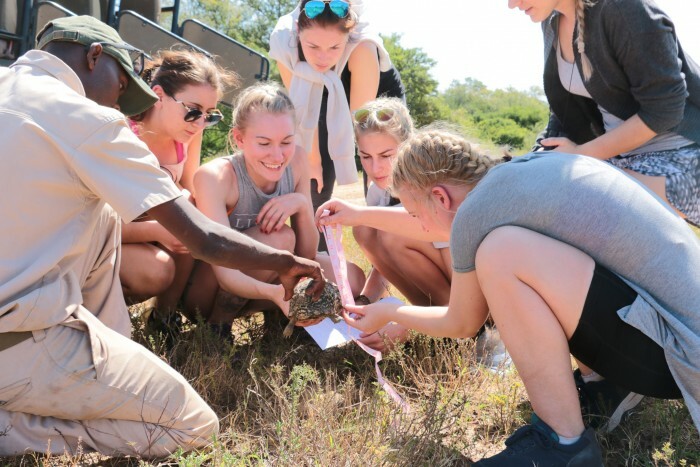 Find out what incredible adventures Kesgrave High School experienced on our Shamwari project!